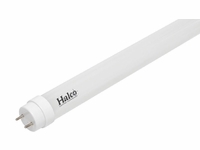 Find the replacement lamps you need for less at Take Three Lighting. 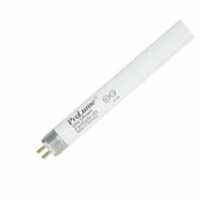 We have the most popular LED lamp replacements, with the latest highest-efficiency models to keep your projects well-lit without causing electric bills to skyrocket. 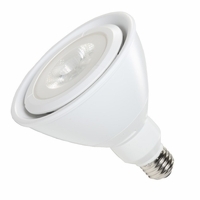 LED lamps feature many benefits, including having a longer lifespan and consuming far less energy than traditional light sources. They won’t burn out like incandescent bulbs. Instead, these durable lamps provide years of energy efficient operation at cooler operating temperatures. Contact us today and let us assemble a custom quote for your bulk LED lamp needs for your project. We carry a range of commercial and industrial lamps. 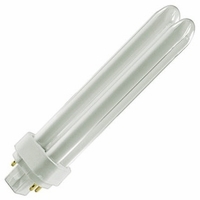 For industrial applications, A-shaped LED bulbs operate in extremely cold or hot temperatures. We also offer BR, or Bulged Reflector lamps. 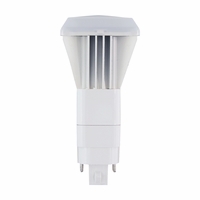 These LED lamps are ideal for indoor use. Our BR30s and BR40s produce less shadow and can be used in a variety of applications. For your parabolic aluminized reflector lighting needs, try our PAR20, PAR30, and PAR38 lamps. These lamps feature precise beam angles for when you need maximum and controlled light output. 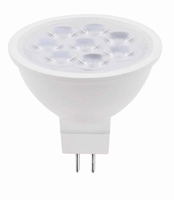 PAR lights are perfect for use in floodlights and spotlights. Start saving money on your energy bills today by replacing your facility’s old incandescent or halogen bulbs with energy saving LED replacement lamps. 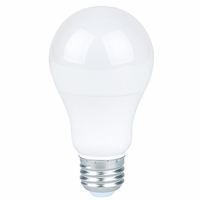 Antique and vintage LED filament bulbs offer a warm glow not found in most other fixture types. 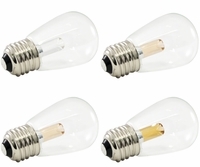 Standard A-bulbs, flame-tip candelabra lamps, vintage bulbs in the Thomas Edison-style shape, globes and radio tubes are some of the vintage LED filaments that can be drop shipped. 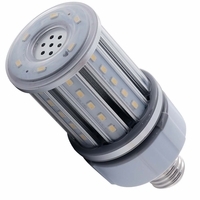 If you need to replace HID lights that consume a lot of energy, check out the selection of LED HID retrofit lamps and post top lamps (also known as "corn lights") can be installed as post top lights similar to lights in an outdoor park or plaza, shoebox lights like ones that illuminate parking lots, and high bay industrial lights.